New super compact type of geared motors with two stage helical bevel gear units. Ideal for the automation of machines or systems due to its high performance per unit volume and dynamics. 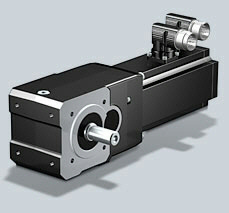 Purchase your Stober SMS EK-ED KL Helical Bevel Geared Motor today!